1.) 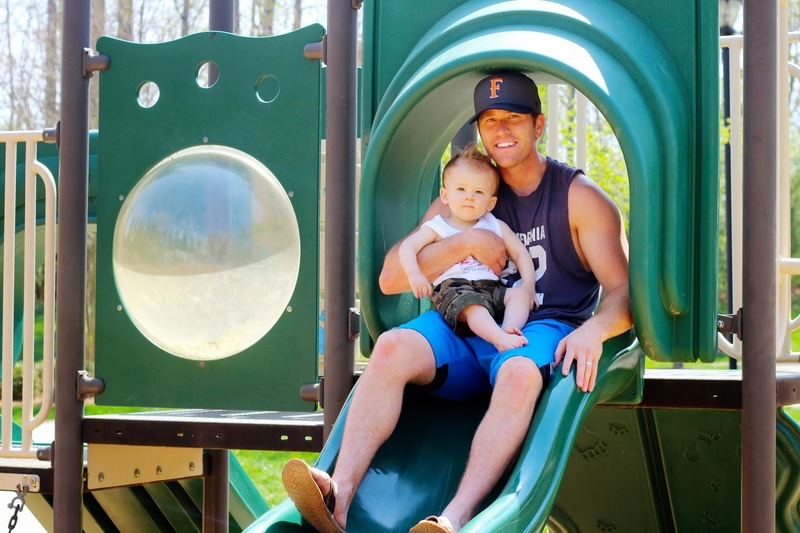 We have been spending so much time at our neighborhood park this month and it's been so much fun! 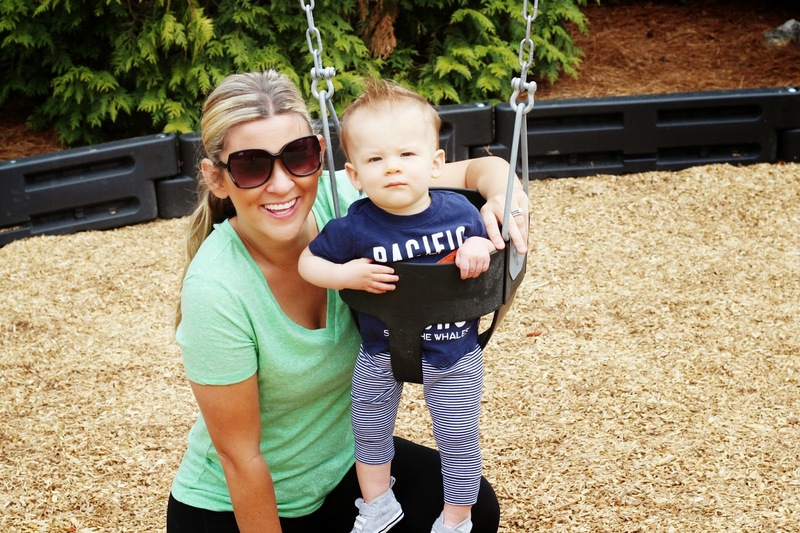 Trace went on the swings for the 1st time, was totally unsure of it and wanted off. Since then he's really started to love it and giggles every time we push his tiny foot... it's the cutest thing ever! 2.) Bryan and I were on the Ford Explorer launch tour with Colin back in the fall/winter of 2010 and we toured with Jess on the Ford GoFurther tour in spring/summer of 2012. They are now on a tour together with 6 other people and were executing events here in Charlotte this week. We've literally been all over the country with these two friends of ours and were so excited to catch up with them. It's always nice to be around people who really know you and who have known you for years. 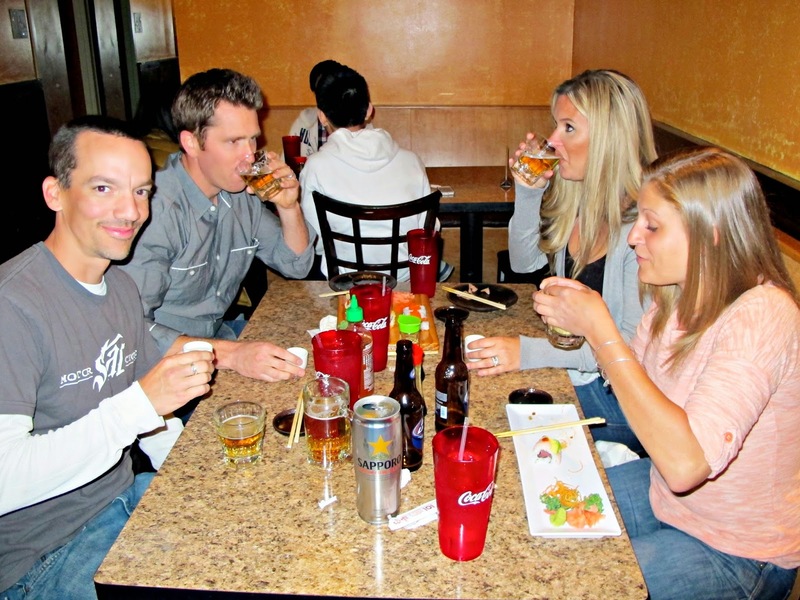 There was a lot of reminiscing happening... and we may have had a saki bomb or two! 3.) 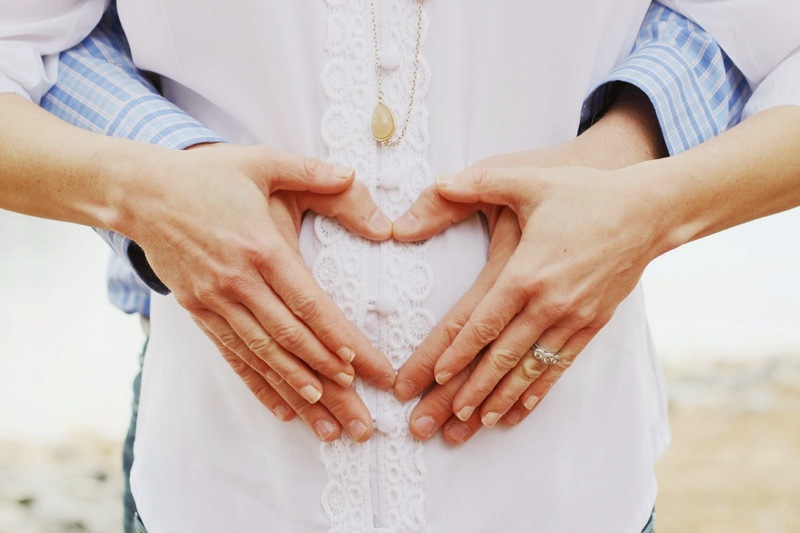 A few months ago I took some maternity pictures for my neighbors. 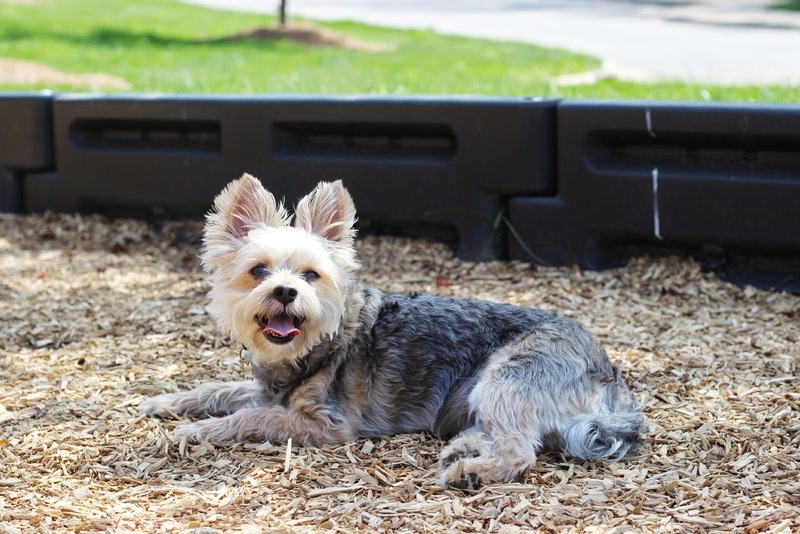 Mind you, I am not a photographer by any means, but with great subjects like they are, I'd say the photos came out pretty darn good! 4.) Spring has always been my favorite season. There's something about the idea of rebirth and of Christ's resurrection combined with the pastels, sunshine and flowers that warms my heart like no other. Not to mention that North Carolina's spring air feels just like southern California year-round. It's just perfect! 5.) We introduced Trace to the Easter bunny this week and he absolutely loved him. I wasn't surprised, given his hilarious encounter with Santa last winter. 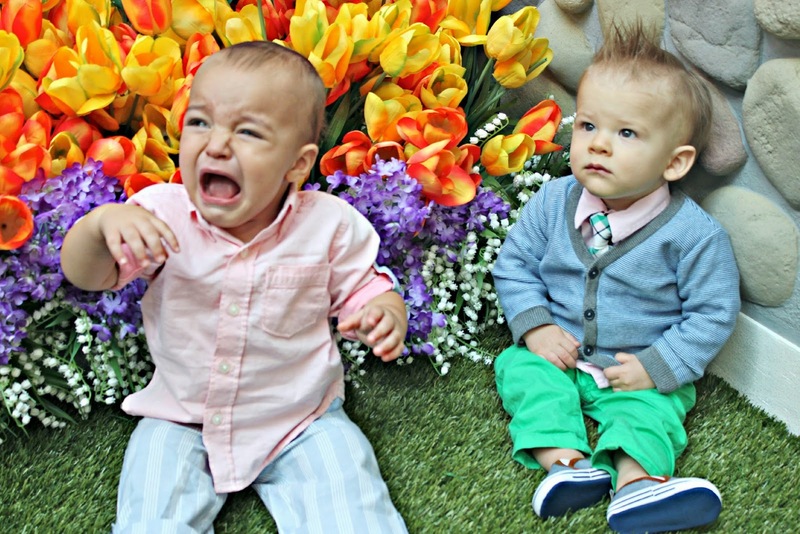 I'll post his Easter bunny pictures with my Easter recap next week, but in the meantime THESE are my two favorite pictures from the day, haha! 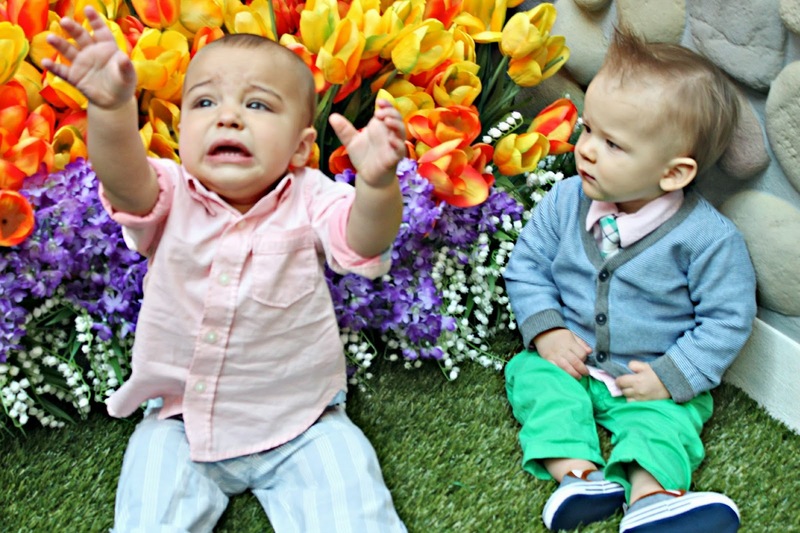 Keegan, Trace's buddy, was not a fan of the Easter bunny at. all. And it was hilarious! And Trace was his typical self... straight chillin'! ahh...that little baby! so cute! will you take my maternity pics when I'm pregnant...probably in the nursing home. but seriously, you did such a good job. My husband and I are expecting our 1st child in July - a boy! I must say - I am loving Trace's style/outfits! So precious! Where do you shop for his adorable wardrobe???? He's chillen like a legit California boy..
Kate, really? Those pics are amazing! Good job! OMG! Trace's face as the other little boy is flipping out is priceless! Oh gosh, if CA feels like NC's Spring I wanna go!